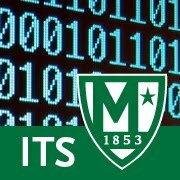 Manhattan College ITS Blog: Successful transition to new database hardware. It is with great pleasure that I inform you of the success of our transition to new database hardware this past weekend. We went to a different change in architecture, from Solaris SPARC chipset, to the X86-64 chipset. That may be hard to conceptualize, but one that will be easy to relate to is RAM. We went from 16GB of RAM on our old hardware, to 256GB of RAM. Along with numerous other improvements, our database hardware is now top of the line. What does this mean to you? Well, this should mean a significant increase in the speed of your reports. In our testing, we have noticed tremendous increases in the speed at which the reports run. We have also been working with Oracle and Ellucian to make sure that performance is at it’s maximum capabilities to ensure the most optimal registration ever. In our testing, we have registered 1100 students into self-service all at the same time, and no one was denied entry into a class. We were able to produce consistent results with this time and time again. In the past we have taken the database down between the hours of 3am and 6am every night for backups. Due to our new technologies this will not happen anymore, so any late owls can work whenever they need, and students will have 24 / 7 access to Self-Service. We have also set up a disaster recovery site at our colocation facility located in New Jersey. At this facility, we have an identical copy of our Production Database sitting there in case anything happens to the database hardware in RLC (e.g., we lose power, the machine fails for some reason, etc.). This is what is known as Oracle Active Data Guard. This will help ensure our 24/7 hour uptime. We hope that the work we have completed will have a significant positive performance impact on your daily tasks. We are currently investigating one known issue with our JasperNet Password change utility, and the Start.manhattan.edu email initialization page. We are confident that this issue will be resolved shortly.